TinySine Aptx Bluetooth amplifier boards' default settings are stereo output. 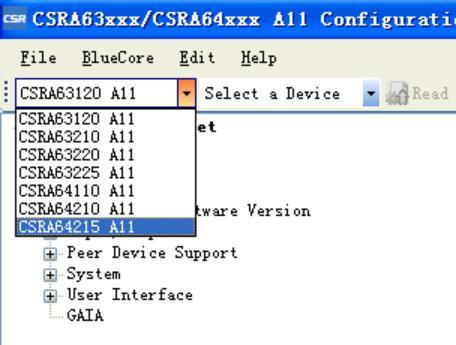 But users can set it to mono output by changing the Bluetooth module settings. After this change, both 2 channel audio will be mixed and output from the left channel to the speaker. 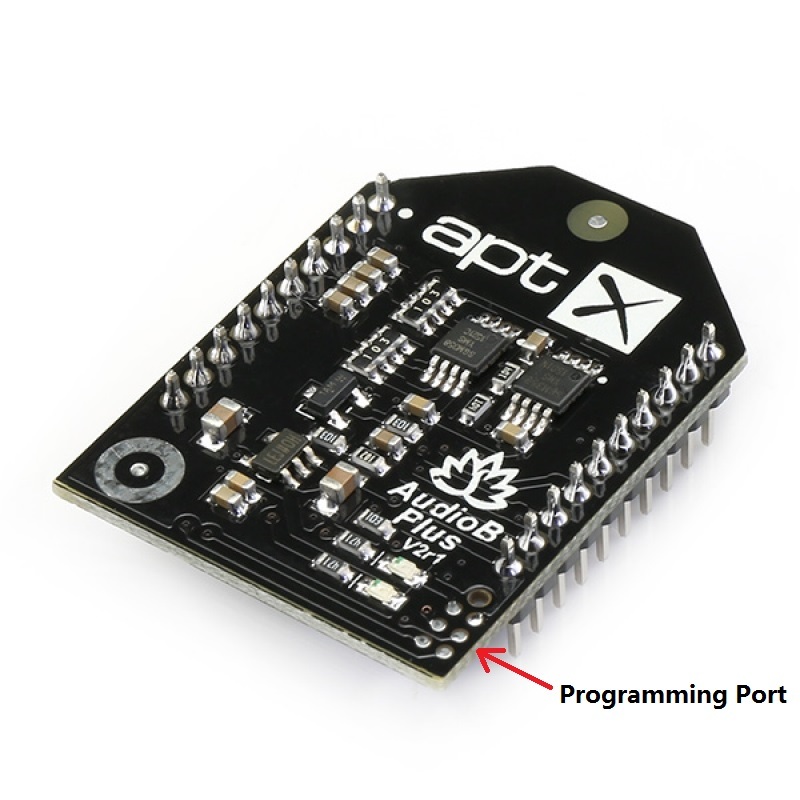 Note: Only Aptx Bluetooth amplifier boards support mono output. 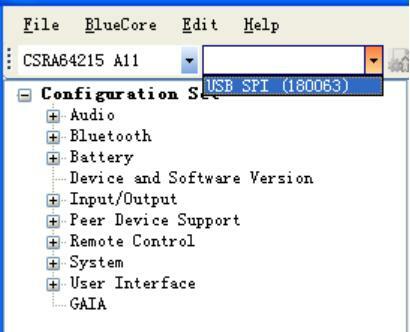 Connect the CSR USB-SPI programmer and Tag-Connect line with a AudioB Plus convert board, then connect CSR USB-SPI to your computer by a mini USB cable and windows will auto detect it and install the drivers. Connect TC2050-IDC-NL’s connector to AudioB plus programming port. 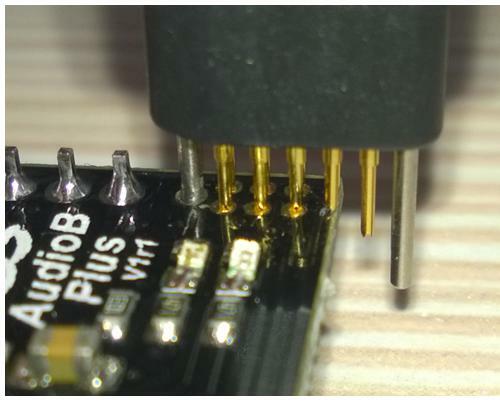 You need to locate the single steel alignment pin of the connector into the single hole of the PCB footprint, then press down softly to engage the spring-pin contacts. 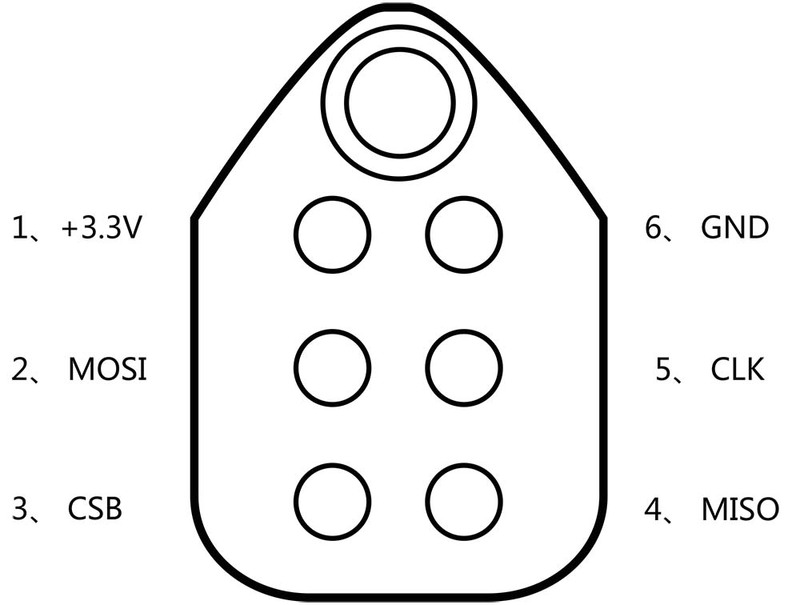 Make sure the first 6 pins have a good contact with the corresponding pads. Then the blue led and red led will flashe alternately. 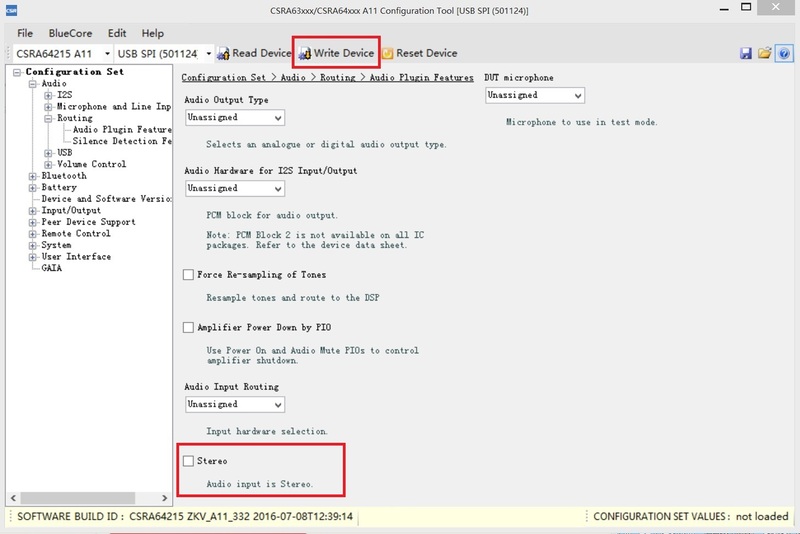 Please select the corresponding version of the chip in the left upper first drop-down menu, select USB SPI (180063) in the second dropdown menu, and then click “Read Device” to read chip configuration data from the AudioB plus circuit board . After reading the modue information, in the most left Set Configuration in order to start: Audio → Routing→ Audio Plugin Features, You can find a Stereo option in the bottom. Uncheck the “Stereo”. 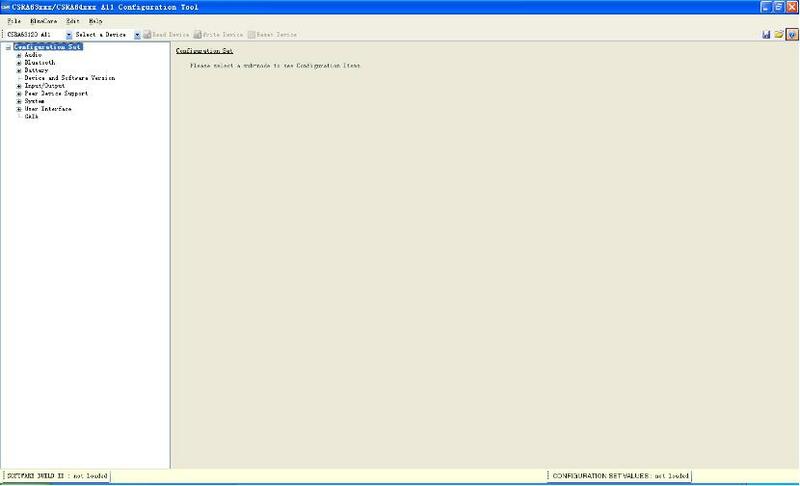 Then click "Write Device" to write the settings back to the Bluetooth module. You have removed the audio tone successfully. 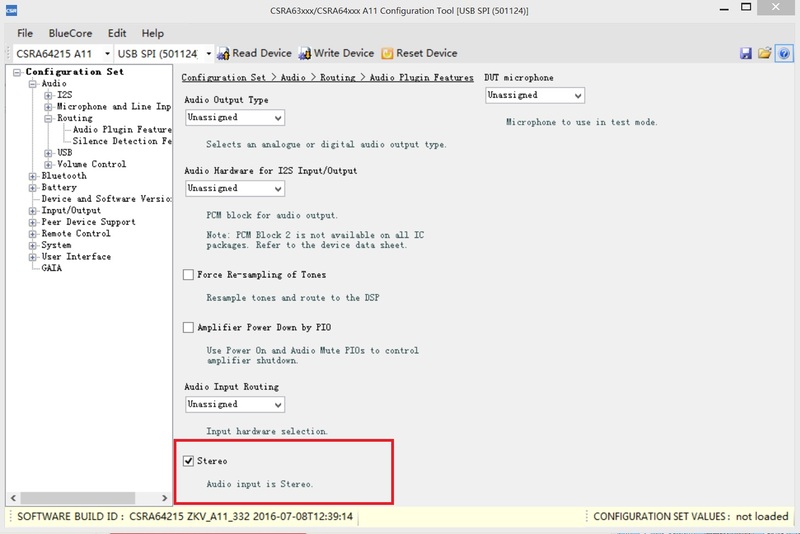 Close Config Tool program and remove the CSR USB-SPI programmer from your AudioB plus module. The Aptx Bluetooth audio amplifier becomes mono output. Both 2 channel are mixed and output from left channel.